Carnival Corp & plc announced last week that it would soon have six ships based in China, three year-round and three on a seasonal basis. On top of this, a member of the 3,560-berth “Royal Princess” class, will be designed and built specifically for the Chinese market. Royal Caribbean Cruises, by comparison, will soon have five ships based in China. Generally larger than those sent by Carnival, they will include the 4,180-berth Quantum of the Seas and Ovation of the Seas as well as the 3,114-berth Voyage of the Seas and Mariner of the Seas. With Norwegian Cruise Line having increased gratuity levels twice this year, as well as adding a room service charge and switching to a la carte pricing in many of its alternative restaurants, we have a look at its new version of “feestyle cruising.” And Dublin sees 13,000 cruise visitors in a day. Last week Carnival Corp & plc announced that it would add two ships to its China fleet in 2016, making it the first cruise company with six ships based in China and increasing its overall capacity in China by 58%. 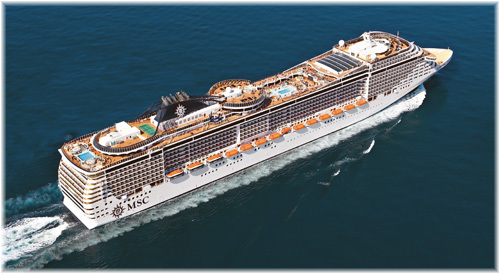 The Chinese market is expected eventually to become the largest cruise market in the world. Carnival’s six China-based ships will include vessels from both Costa Cruises and Princess Cruises, each of which will be adding a new ship. Between Costa and Princess, Carnival will have the largest cruise presence in China, with three year-round ships and three seasonal ships. The two lines will potentially offer about four million passenger days in 2016, giving Chinese guests more choice in both the contemporary and luxury segments. Included in this new deployment is the announcement that Princess Cruises will send its 2,624-berth Golden Princess to northern China in 2016, sailing out of Tianjin on a seasonal basis and offering cruises to northern Asia. 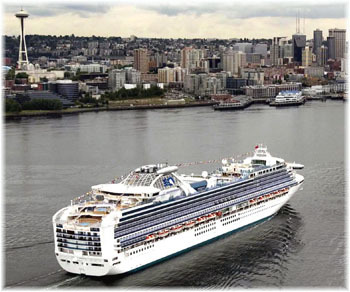 The Golden Princess joins the line’s first Chinese-based ship, 2,674-berth Sapphire Princess, which has been based in Shanghai since last year and will sail year-round in China starting in 2016. This two-ship deployment in 2016 will more than double its total Chinese capacity, putting Princess in a strong position to serve the luxury cruise segment with its “Princess Class” experience, which was designed specifically for the Chinese market. Costa Cruises, which became the first global brand to introduce cruising from China in 2006, announced that it would introduce a fourth ship, the 2,716-berth Costa Fortuna, in April 2016. 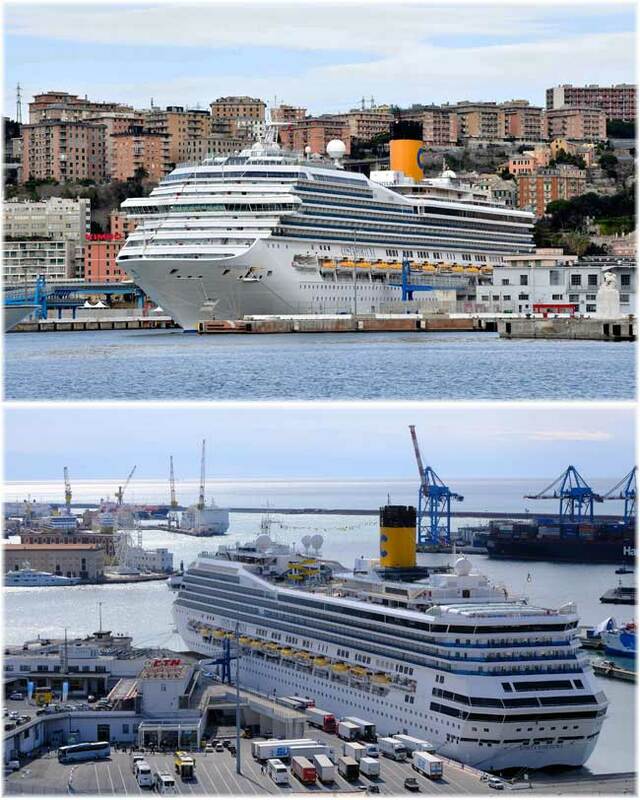 The Costa Fortuna will join the 3,000-berth Costa Serena, 2,112-berth Costa Atlantica and 1,928-berth Costa Victoria, increasing the line’s available Chinese capacity by 43% next year. Later, Princess Cruises’ latest 3,560-berth “Royal Princess” class order will also be based in Shanghai year-round when introduced in summer 2017. This ship will be the first year-round international luxury vessel specifically designed and built for Chinese guests and like near sister ship Britannia in the UK, she will be tailored for a very specific non-American market. Carnival Corp is also exploring potential joint ventures with China Merchants Group (CMG) and China State Shipbuilding Corporation (CSSC) with an aim to accelerating the growth of the cruise industry in China. 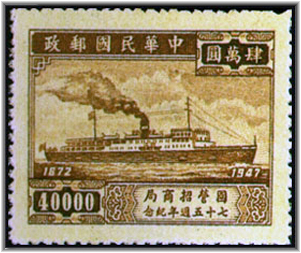 China Merchants Group has a long history, having been founded in 1872 as the China Merchants Steam Navigation Company, which was involved in that country’s coastal passenger and cargo trades. Negotiations with China Merchants and CSSC also include the possibility of launching a world-class Chinese domestic cruise brand, building not only new ships in China, but also the necessary supporting port structure. For its part, Royal Caribbean Cruises has also been steadily developing its Chinese business. 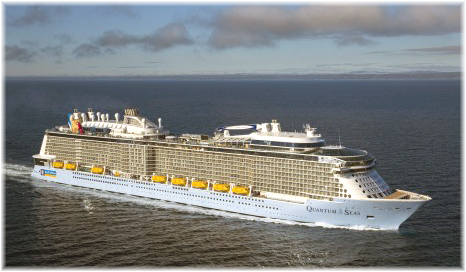 In April, its Royal Caribbean International brand shocked the industry by announcing that from June 2015, its newest ship, the 4,180-berth 167,000-ton Quantum of the Seas, will be based year-round in Shanghai. Since then has come news that after a brief Southampton season in 2016, sister ship Ovation of the Seas will proceed to China to do a season from Tianjin before moving on to Australia for the seasonal summer business there. Together with Quantum of the Seas and Ovation of the Seas, three other fleetmates will see Royal Caribbean offering five cruise ships in China. Royal Caribbean has been developing the market since 2012, when it sent its 3,114-berth Voyager of the Seas to Asia. Sister ship Mariner of the Seas followed in 2013 and both have been, based in China on a seasonal basis. Royal Caribbean has also been developing links with the Port of Xiamen, the city of five million that was once known as Amoy, and connections with the Shanghai-based Shan Hai Shu Group. With the latter’s connections to shipbuilding, this could see Royal Caribbean building ships in China in the longer term. 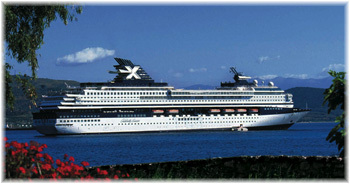 Celebrity Cruises’ contribution is a little different. That brand’s 1,814-berth Celebrity Century was delivered this spring into to a new joint venture with China’s CTrip and Stone Capital, operating as SkySea Cruises. The Century has now been renamed SkySea Golden Era for service in the Chinese cruise trade. CTrip, China’s largest online travel platform, and Royal Caribbean each have a 35% stake in SkySea, while Shanghai-based private equity firm Stone Capital has 30%. 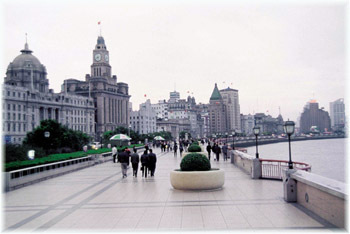 The SkySea Golden Era will be based in Shanghai until October. China has a goal to develop cruising as a key driver for its economy and wants to become one of the leading cruise markets in the world. Taking a new tagline from Norwegian Cruise Line’s “Freestyle Cruising,” some have been complaining recently about the introduction or increase of various fees on board Norwegian’s ships. Gratuities paid to onboard staff on Norwegian Cruise Line are going up for the second time this year. Passengers booked in any cabin up to and including a mini-suite will be charged the basic rate gratuities, while suite passengers will pay the higher rate. February’s was the first change to the recommended gratuity level since 2009. Some say that compared to cruise fares these figures don’t come to much, but $1.50 over 7 days is a $10.50 increase per passenger, and over two million passengers in a year this soon comes to $21 million. 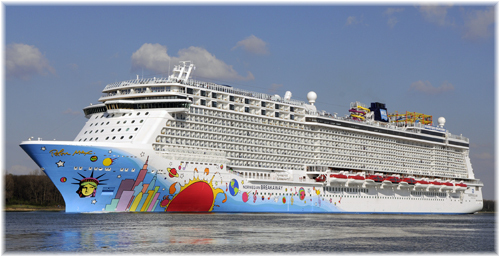 A host of changes has been announced at Norwegian Cruise Line within the past few months. In May, the line began charging a $7.95 room service delivery fee, except on coffee and Continental breakfasts. This started as an enhanced room service menu for the Norwegian Getaway and Breakaway. The menu has an expanded selection of breakfast items and a wider variety of options available 24 hours. In addition to cold breakfast items, the delivery menu will feature hot cereals as well as eggs and sides such as potatoes, grilled tomatoes, bacon and sausage. 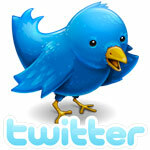 The charge is to be made per order but others feel it may soon show signs of creep. Last week, the line also announced it will charge a la carte prices in many of its alternative restaurants, which is to begin fleetwide in 2016. Beginning with the introduction of the new Norwegian Escape in October, menus in Norwegian Cruise Line’s La Cucina, Le Bistro, Cagney’s Steakhouse and Bayamo restaurants will be priced a la carte. However, Norwegian is not alone when it comes to increasing service charges. Royal Caribbean increased the recommended gratuities that passengers pay fleet wide starting earlier this month. On all sailings departing since July 1, the new recommended gratuities guideline has been $12.95 per person per day in standard accommodations and $15.95 in suites. Royal Caribbean automatically charges the daily gratuity to passengers’ on board accounts, although passengers are free to change the amount at their discretion at Guest Services. Royal Caribbean’s previous rates were $12.00 per person per day and $14.25 in suites, the resulting increase being 8% in standard accommodation and 12% in suites. Four large cruise ships arrived in Dublin last Wednesday, July 22, bringing 13,000 tourists to the city. 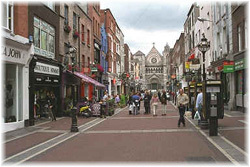 Including its huge ferry business, Dublin hopes to host two million passengers in 2015, with a 35% increase in the cruise trade. Celebrity Cruises’ 2,886-berth Celebrity Silhouette, Croisière de France’s 1,442-berth Horizon, Cruise & Maritime Voyages 1,200-berth Magellan and Princess Cruises’ 3,560-berth Royal Princess all called for the day. If their passengers spent an average of €100 each, that would have amounted to a €1.3 million boost for the Dublin in a day. The 1,083-foot Royal Princess narrowly missed being the longest ship to have berthed in Dublin but that record remains with the 1,093-foot 3,274-berth MSC Splendida, which called in May. It has been a record year for cruise tourism in Dublin, which is working to bring in further business through a €200 million redevelopment plan that will allow larger ships routinely to visit the port.